While many applications require large, rugged industrial PCs, an emerging category of intelligent systems demands light, flexible, low power, development friendly hardware. ARM is rising. But many “embedded” ARM boards offered by IPC companies are problematic: there’s little developer support and little in the way of a community for many of these boards. 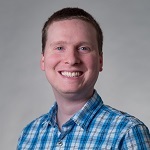 They require (compared to x86) a substantial investment to get applications to run and connectivity to work. Custom projects require a custom board, with 10,000 unit MOQs. So where do you turn if you’re in need of a more flexible development platform? Of course, BeagleBone.org’s BeagleBone Black is a community supported project, not intended to be applied to commercial applications. The manufacturer, CircuitCo has worked to keep the cost of the board low to maintain it’s consumer accessibility and to help ensure that enthusiasts adopt and build on the platform. As BeagleBone Black’s popularity has grown, BeagleBone.org and their community have continued to innovate. A new Rev C version was recently launched, expanding on-board storage from 2GB to 4GB and updating the pre-loaded version of Linux from Angstrom to Debian. 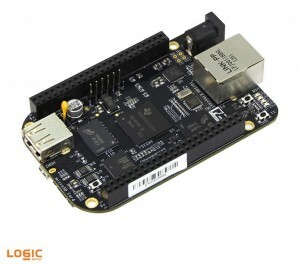 In order to respect BeagleBone.org’s non-commercial intent, Logic Supply has limited customers to the purchase of 1 board. But we’ve been struck by the number of our core customers — professional developers at Fortune 100 companies and startups alike — prototyping for projects on BeagleBone. We get daily requests for larger volume orders intended for commercial projects. Typically, these don’t involve customization and don’t hit the 10,000 unit volumes most custom ARM boards need to make sense financially. 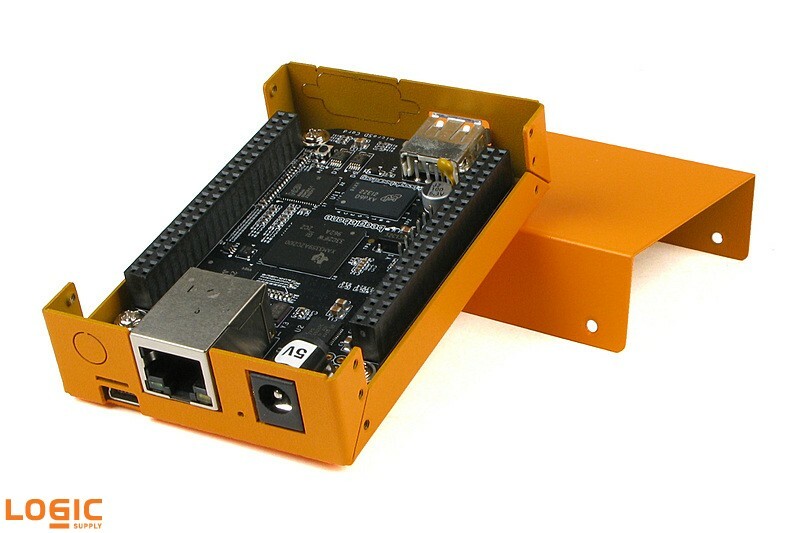 In other words, we see a strong market for an “off-the-shelf” BeagleBone Black for commercial projects. BeagleBone Black was designed and released as open source hardware, so the PCB design is manufacturable by others. Element14’s subsidiary, Embest, has been making BeagleBone Black replicas for the Chinese market with great success. Logic Supply has begun working with element14 to build out a supply chain of commercial BB Black “clones” and we’ve recently received our first shipment. We’re now able to sell the Community version of the board by CircuitCo, and a Commercial Version by Embest. This opens the door to shorter-run embedded projects — without the need for board-level customization, and without the limitations imposed by minimum order quantities. Customers can prototype on the Commercial BeagleBone Black, and take one of three development pathways to meet the needs of their project: (1) standard BB, capes and enclosures, (2) standard BB, custom capes and enclosures, and (3) fully custom BB. We can work with customers through production, into product roll-out, and lifecycle/support management. Broadly, we are seeing more and more IPC vendors embracing ARM as the technology is increasingly standardized, facilitating more commercial solutions like the BeagleBone. Stay tuned for board introductions that meet the needs of the more rugged segments of the IPC market. (For an excellent primer on the state of BeagleBone, see this recent piece on LinuxGizmos.com – http://linuxgizmos.com/beaglebone-black-rev-c-doubles-flash-moves-to-debian/). I’m in charge right now on the development a street automatic vending machine project. I’ve started the project basing it on BeagleBone Black (BBB) platform. The first conceptual prototypes I’ve assembled with BBB bought from Adafruit, Farnell, Element14 and so on. Now, we’re assembling, after a ruge engineering tasks, the first machines in order to submit the system to the people and, as you know, we faced a problem to buy BBBs. After some research on net stores, I’ve bought 3 BBB from Embest (the unique info I’ve is writed on the boards: “Embest” and “PCB rev B3”). I’ve tried to test it but I couldn’t. On the Embest site support I’ve found only chinese manuals! Well, I’m writing you, hoping some help. Our project envolves more than 2000 vending machines and I’d love to keep my BBB project running! Could you help me, please? Hello Jose, thank you for reaching out to us. I’ve passed along your message to our technical sales specialists and they should be in touch, but please feel free to send an email directly to info@logicsupply.com and we’ll see what we can do to help. I got the same issue with Connecting beagle to vending machines, maybe we can spare?